Winter is coming, which means it is time to amp up your workout routine. Many of us respond to the cooler weather by curling up on the couch with a bag of potato chips, delaying our workout for another day. However, now is not the time to give up on your fitness goals. In fact, there are many reasons why winter is time to double-down on your workouts and push yourself even harder. One of them is the fact that you can take advantage of colder weather. This might surprise you; after all, who WANTS to workout in cold weather? While headed into the chilly air for a run might not sound great, there are many ways you can benefit from lacing up your running shoes and braving the cold. There are actually many runners who look forward to the weather cooling down. This is because humidity and heat tire you out much faster, whereas the cool air invigorates you. The energy you get from working out in cold weather may be enough to take your workout to the next level. When you exercise, your body increases your endorphin production, the hormones that make you feel happy. When you exercise in the cold, your body has to work harder, and therefore, you produce even more endorphins. You may have a hard time motivating yourself out the door, but once you get moving, you will feel great! Winter comes with shorter, darker days, which often leads to seasonal affective disorder, or seasonal depression. When you make a point to get outside in the middle of the day to workout, you get to experience some precious sunlight while it is briefly out during those long winter days. If all of the above wasn’t enough to get you out of the house this winter, consider how many more calories you burn in the winter. As we mentioned before, your body is working that much harder when it’s cold out, which translates into more calories burned. Research shows that race times are faster during winter weather, and when you are moving more quickly, you are burning more calories. Working out in winter comes with new safety risks, including ice and snow. Before you head out for a run, plan your route first, choosing streets that are well-lit and plowed. Let someone know before you head out where you will be going and how long you will be. A great strategy is to find a shorter loop near your home that you can run several times, so if for whatever reason, you need to cut your workout short, you can easily do so. If you usually run five miles a day, cut it down to two or three during the winter months, at least initially. By underestimating, you reduce your risk of hypothermia. Ease your body into winter weather workouts by starting off small. Before you workout, be sure to warm up your body sufficiently. Jog in place indoors for a couple of minutes first, and take 30-second breaks during the first ten minutes of your run every so often. Additionally, keep your cool down brief so you don’t get too cold. Run at a slow pace for a few minutes, then go inside to stretch. On some days, whether it is snowing or below freezing, working out outside is simply not going to be an option. Don’t use this as an excuse to slack on your fitness goals. Join our fitness center today and stay committed to your workout schedule. 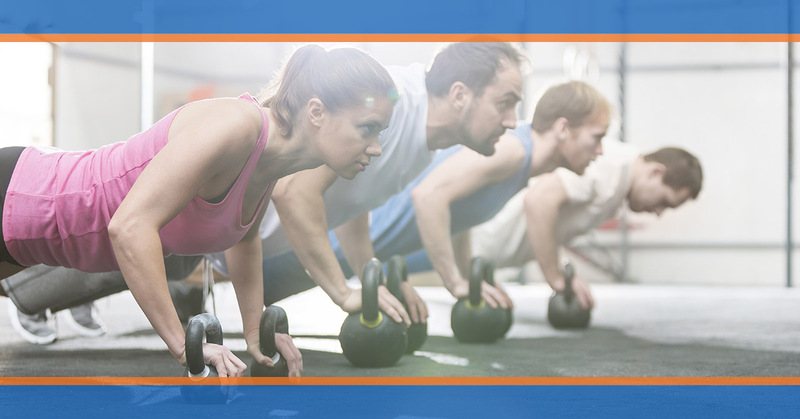 Contact us today to learn more about our affordable gym memberships!